From the rear side cover: For many, the Westland Whirlwind conjures the image of yellow air-sea rescue helicopters, not the sleek twin-engine monoplane that was the RAF's first single­ seat, cannon-armed fighter. Although faster and better armed than its legendary cousin, the Spitfire, the Westland Whirlwind has long been denied the appreciation it deserves. Only 114 were built, sufficient to equip two squadrons: Nos 263 and 137. Between 6 July 1940 and 31 December 1943, 210 pilots were listed in the Operational Record Books of these two squadrons; while 'The Few' won the Battle of Britain, the 'Whirlwind Men' were an even more select group, with some becoming a part of RAF folklore. 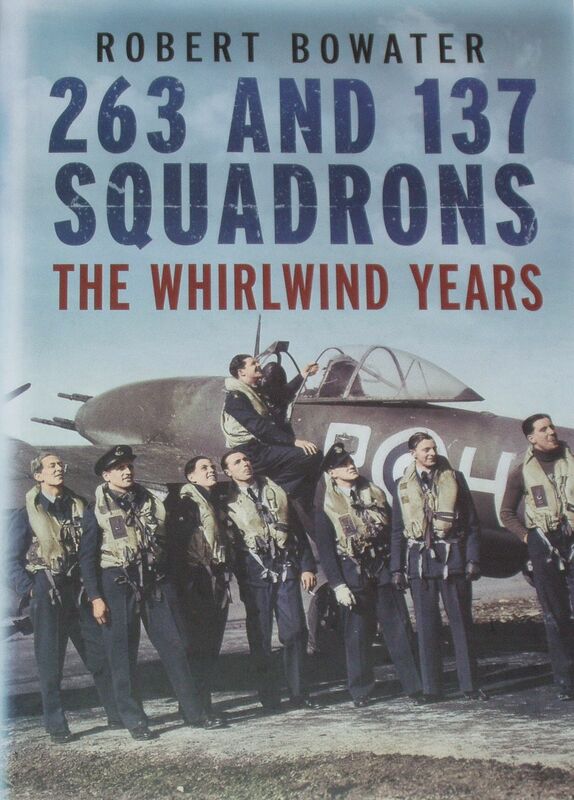 Based predominantly on first-hand accounts, 263 and 137 Squadrons: The Whirlwind Years reveals the heroism and sacrifice of the squadrons' pilots - men who came from as far afield as Peru and Australia - and the impact this extraordinary but little­ known aircraft had on the war.